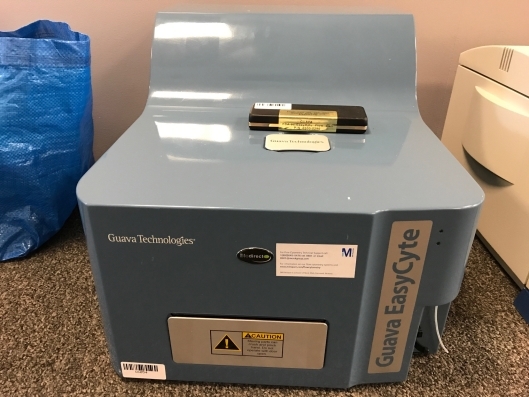 The guava easyCyte flow cytometry systems are cost-effective, easy to use and deliver complete and comprehensive cell analysis- right on your benchtop. 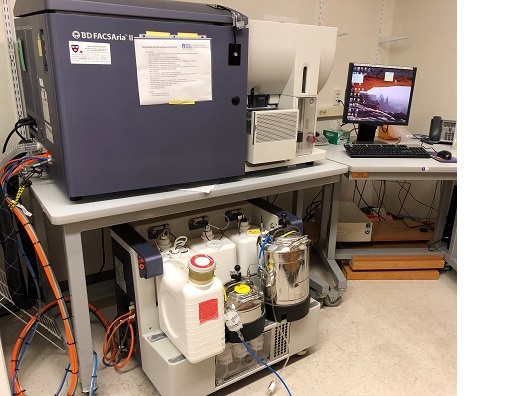 The culmination of over a decade of flow cytometry expertise, these instruments consume less sample, generate less waste and are easier to use and maintain than traditional flow cytometers—all while providing the analytical power you need to expand your research horizons. 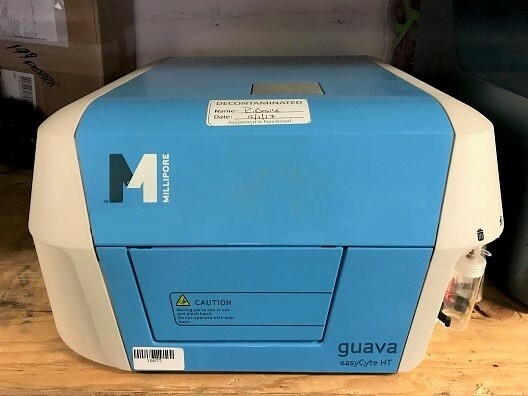 The Millipore Guava EasyCyte HT offers sample handling formats for both tubes and 96-well plates, direct sampling using patented microcapillary system, and a user-friendly, versatile software. EasyCyte instruments are also compatible with many fluorochromes and fluorescent reagents. 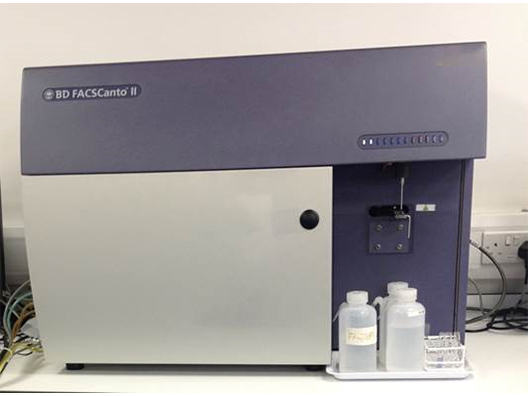 Built on more than 25 years of BD experience and leadership in flow cytometry and multicolor analysis, the BD FACSCanto™ II system is an easy-to-use benchtop analyzer that delivers proven performance, accuracy, and high-quality results. The BD FACSCanto II can be configured with two or three lasers to detect up to eight colors. 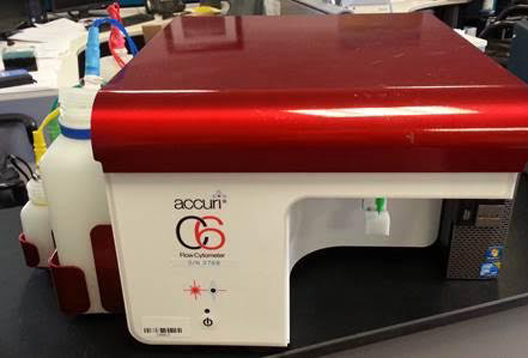 It features many innovations, including a true fixed alignment flow cell to minimize startup time and improve reproducibility. The optical system maximizes signal detection and increases sensitivity and resolution for each color in a multicolor assay. 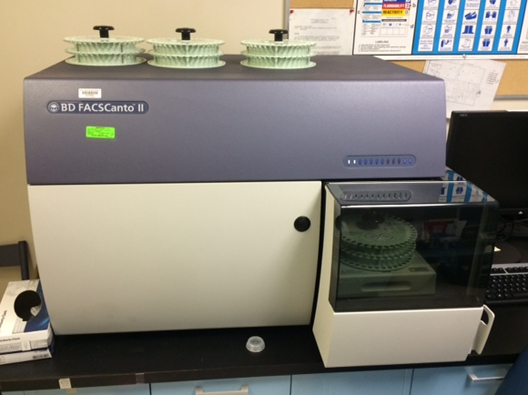 These and other capabilities make the BD FACSCanto II ideal for today’s busy clinical lab, providing a high degree of automation and quality control. With optimal reproducibility, the BD FACSCanto II system reduces hands-on technician time and costs associated with repeat testing. 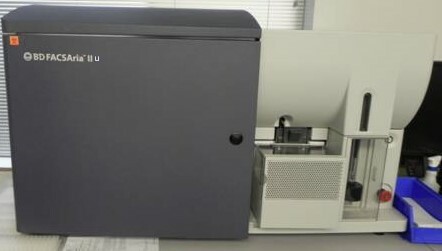 The Tali Image-Based Cytometer is a 3-channel (bright field, green fluorescence, red fluorescence) benchtop assay platform that uses state-of-the-art optics and image analysis to perform assays for cells in suspension, including GFP and RFP expression, apoptosis, cell viability (live, dead, and total cells), cell cycle, and cell counting assays. It is compatible with a wide variety of eukaryotic cells. 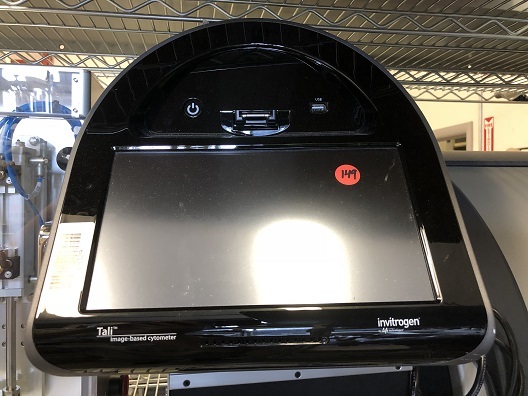 In addition to the bright field channel, the Tali® Image-Based Cytometer features two fluorescent channels (green and red), enabling it to simultaneously count green or red fluorescent stains, as well as cells expressing GFP and RFP. Dimensions (W x D x H): 11.5 x 17.5 x 11.5 in.